So you got braces. What’s next? 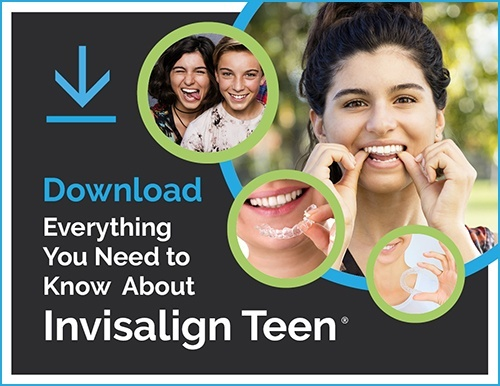 Braces are amazing and you should be thrilled about being on this new journey, but you also should know how to thoroughly and effectively care for your teeth with these new brackets and wires on them. It might seem like a big task, taking care of your teeth as well as these new braces, but it’s not bad at all. Once you get the hang of it, it will become second nature to you. You should have been brushing your teeth at least twice a day already, so that’s one habit you should continue once you get braces. Once you have braces though, you really need to be brushing more frequently. Any time you eat something, you should brush your teeth as soon as you can afterwards. Braces are prone to trapping food, and brushing thoroughly after consuming food will help to clear that food out. Clean teeth means no plaque, and no plaque means healthy teeth! Flossing is another habit you should incorporate into your daily routine at least twice a day, or even as frequently as you would brush. Both of these habits will keep your teeth clean and healthy while you’re undergoing treatment. Braces don’t take care of themselves, so you should definitely make sure you’re keeping up with your regularly scheduled appointments with your orthodontist. You should also make sure to continue attending regular appointments with your dentist to ensure your teeth are staying healthy. Routine check-ups in both of these places is going to go a long way in getting you to your perfect, healthy smile! Before you brush your teeth, rinsing your mouth out with water can aid in loosening food that might be lodged in your teeth. Once you’ve finished that, you should brush your teeth thoroughly (for two minutes) at a 45-degree angle to your gums. Be very sure to brush each and every tooth as well as thoroughly around each of your brackets. And don’t forget about the gumline! Flossing with braces is much easier if you use a floss threader. This will aid in getting each nook and cranny squeaky clean! You might also want to consider investing in an electric toothbrush. They are a great way to aid in cleaning your teeth thoroughly. Another tool that could be useful is a waterpik. This tool can be used as frequently as you want and is helpful in thoroughly cleaning in between your teeth. Our team here at Milnor Orthodontics is committed to getting you your dream smile, so we would love to help you in any way we can. If you have any questions on how to brush or floss, don’t hesitate to ask for help. We’d love to show you! Remember, braces are going to require some care and maintenance. In addition to caring for your braces, you also should make sure to maintain excellent oral hygiene. You want your teeth to be as healthy as possible, and keeping them as clean as possible will go a long way in preventing cavities and other dental problems. Beautiful teeth are just a few steps away!